Live probiotics are mission critical to supporting immune function, digestive health, mood, stress management, skin health and appetite. Pro-X10's patented Microencapsulation Technology™ provides up to 5X MORE living probiotics than other brands with results in hours—not days or weeks. Nothing artificial. Equivalent to 50 Billion CFU. Celebrating 1.7 million bottles sold! Yes, get your FREE 30-count bottle today, just pay shipping – no monthly subscriptions, no strings attached – and we'll feed a hungry child tomorrow in your honor (thank you!). For today's flash sale, receive a FREE, 30-count bottle of Pro-X10, FREE Health and Nutrition Coaching, and the FREE report 11 Foods That KILL Your Gut. Just pay $6.95 shipping. "They really sent me a free bottle with no strings attached. "I used to struggle with occasional constipation—not anymore. "…the most effective probiotics I have ever tried. I noticed an improvement in my digestion and gut health in a few short days!" "I have been religiously taking your product for over a year after it helped with my digestive-related issues within a couple of weeks. It was amazing how fast it helped!" "EXCELLENT! It's rare I can say I 'notice' a probiotic having an effect. This one is different. Highly recommend this product for gut health." "…after using many other brands, Pro-X10 was the one that did 'IT ALL' for me. It lived up to all they said it would." "My immune system is healthier, I'm even more regular than I used to be, and I've even noticed a difference in my complexion." You have roughly 100 trillion bacteria living in your gut alone and radiant health relies on a healthy, diverse balance of gut bacteria. In fact, your GI tract is home to over 70% of your immune system. Unfortunately, all too often–thanks to stress, traveling, aging, and poor food choices–bad bacteria take over, resulting in an unhealthy imbalance of gut bacteria and even probiotic deficiencies. Many probiotic formulas yield "dead" probiotics, which haven't been properly "protected" to make sure they survive on the shelf and in the acidic environment of the stomach. Pro-X10 changes all that with the patented, research-backed Microencapsulation Technology™, which protects the friendly bacteria in a lipid matrix and ultimately delivers up to 5 TIMES MORE living probiotics to your gut than typical probiotic formulations. The result: A noticeable improvement in the balance of gut bacteria in HOURS not days or weeks! When you order, we feed a hungry child for a day through NoKidHungry.org. Thank you! For just $6.95 shipping (U.S. only), we'll rush everything out to you right away! Nothing more will be shipped or charged. No strings attached. It's truly FREE (no autoship, no future charges - nothing). Pretty incredible, as this is a fast-acting, effective, premium probiotic formula utilizing the patented, research-backed Microencapsulation Technology™ with over 1.7 million units sold to date. Pro-X10 incorporates the patented Microencapsulation Technology™, which has been shown to deliver up to 5 times more LIVING probiotics to your body compared to traditional probiotics. Pro-X10 includes the research-backed probiotic called DE111® (Bacillus subtilis), a unique, heat- and acid-resistant probiotic strain has been shown to work wonders in rebalancing the "good" and "bad" bacteria in the gut. Pro-X10 supports digestion, helping with the breakdown of an array of different proteins (including gluten), carbs, and fats. Pro-X10 contains the revolutionary prebiotic PreforPro®, which feeds probiotics and has been shown to help healthy gut bacteria flourish. Lactobacillus rhamnosus to defend against bad bacteria. Pro-X10 contains no added sugars and no artificial sweeteners, flavors, colors, or preservatives. It is gluten-free, dairy-free, and non-GMO.  Quality Guarantee: At BioTrust, we are committed to being the best. Like all our products, Pro-X10 is manufactured in a GMP-certified facility and undergoes 3rd party lab testing to ensure purity, potency, safety, and your results. Fact is, we've sold over 1.7 MILLION bottles of Pro-X10, and we believe it's the BEST probiotic money can buy. We're confident that once you experience the incredible results of this premium product for yourself, you will be back for more. And today, we want to PROVE to you just how extraordinary Pro-X10 is by giving you your first bottle FREE. "As an owner of a natural food store, I have used probiotic supplements since 1993 with some good results; however, when I found Pro-X10, my search for the best one was over. I have been using this probiotic for about a year now, and I seriously suggest you try it. You will never want to be without it." "Pro-X10 is EXCELLENT! It's rare I can say I 'notice' a probiotic having an effect. This one is different. I highly recommend this product for gut health, which affects EVERYTHING!" "I've been using Pro-X10 for about a year. I notice a huge difference when I am not using it. It really helps my digestive system and makes me feel protected." "I have been taking Pro-X10 for about 2 months, and hands down, it's the best probiotic I've ever taken. I never realized how bad I felt. Ever since I've been taking Pro-X10, my skin has improved, and I feel so much better. Thank you so much for your great product. P.S. : Your Customer Service is also awesome." "After using many other brands, Pro-X10 was the one that did it all for me. It lived up to all they said it would. I recommend this to everyone I speak with that has issues that deal with digestion. Thank you." "BioTrust Pro-X10 probiotics are the best." "Pro-X10 is the most effective probiotic I have ever tried. I noticed an improvement in my gut health in a few short days! Great quality, and let's be real… I love the whole line." "Pro-X10 lives up to the hype! I experienced immediate results and haven't felt this good in a long time. I've tried other probiotics but nothing comes close to this stuff!" "With Pro-X10, my sugar cravings are almost nil. I noticed it for the first time only four days into taking the product. Now, instead of seeking out sweets after every meal, I only eat a minimal amount and am very quickly satisfied. Secondly, my belly is so much flatter! I wasn't out to lose weight—just feel better, and I definitely do. Less fatigue, less fogginess… and so much less sugar cravings!" "I've been using Pro-X10 for almost 3 years and couldn't be happier! My dad recommended it to me to help me with my overall health, and I cannot live without it! I'm even more regular than I used to be and I've even noticed a difference in my complexion. I will not go a day without this product—just thinking about it scares me! 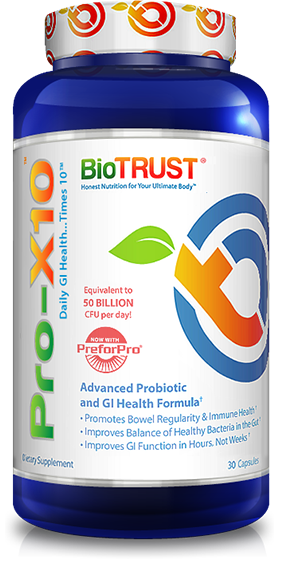 "I did a lot of research trying to find the best probiotic, and BioTrust Pro-X10 is the one I concluded to be the best. I've been using this probiotic now for quite some time, and I am very happy with it. It has been and will continue to be my choice." "THE best probiotic. Period. I ran across this product and decided to give it a try. "I've been using Pro-X10 for almost 3 years and couldn't be happier! My dad recommended it to me to help me with my overall health, and I cannot live without it! I'm even more regular than I used to be and I've even noticed a difference in my complexion. I will not go a day without this product—just thinking about it scares me!" "THE best probiotic. Period. I ran across this product and decided to give it a try. SO GLAD I DID." "I lost over 50 pounds following a healthy diet and using BioTrust products, including Pro-X10. I recommend these live probiotics to my patients, family, and friends to support their immunity, digestion, and overall health. I give it 5-stars all the way around." Q: What pre-biotics and probiotics are in Pro-X10? Studies show that Microencapsulation™ boosts the effectiveness of encapsulated strains by a factor of FIVE compared to traditional (uncoated) probiotics. What's more, research shows that when PreforPro® is combined with DE111®, it enhances its delivery and effectiveness by a factor of TEN compared to without this powerful prebiotic. All together, a daily dose of Pro-X10 contains the equivalent of 50 billion CFU—a very healthy dose. No. The free 30-count bottle is truly FREE (no monthly subscription, no future charges). Just pay shipping. We're hopeful that you will love it and come back for more! Simply take two capsules daily, one with breakfast and one with dinner. Like every BioTrust product, Pro-X10 is made with natural ingredients provided at the Scientific Level™ needed to be effective. It is manufactured in a facility that also processes milk, eggs, wheat, and soy. Independent laboratory testing ensures purity and potency. GMP quality assured. No sugar and no artificial sweeteners, flavors, colors, or preservatives added. Gluten-free. If you have any concerns, please consult with your physician. With research-backed ingredients and technology shown through research to rapidly enhance the balance of gut bacteria, you may begin to notice improvements in as little as a few short weeks. That being said, as individuals, their lifestyles, and their balance of gut bacteria vary, so too will results. To best determine how it works for you, we suggest using Pro-X10 as recommended for at least 30 days. Q: Should I keep taking this product after I achieve my health goals? While you don't need to take Pro-X10 forever, we truly believe that EVERYONE should be taking a probiotic daily to restore and maintain a healthy balance of gut bacteria, promote digestion, and support a robust immune system. Yes. We use a 256-bit secure ordering server where 100% of your data is encrypted, safe, and secure. Our secure shopping cart is verified by numerous 3rd-party security verification systems, including McAfee Secure, the leader in security scanning. So, you can rest assured that your information is 100% safe and secure at all times. Q: How long will this special FREE bottle offer last? We can't give away free bottles away forever, so this special offer can end without notice at any time. 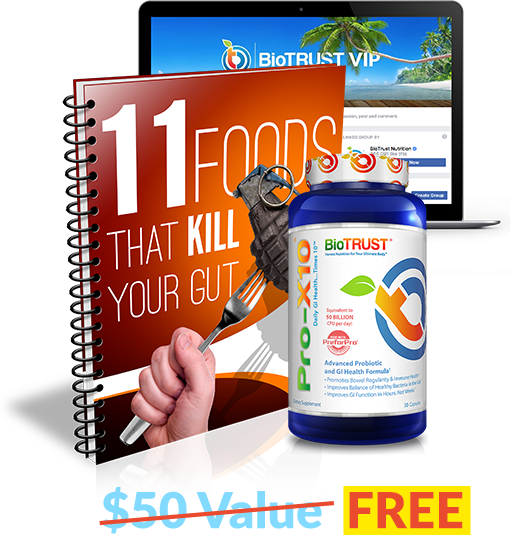 BioTrust, America's #1 online nutrition brand, was started in 2011 by Joel Marion and Josh Bezoni, two friends whose mission was to create a nutrition company that was authentic, honest, and always put quality and service first. BioTrust is one of the few companies in the industry to conduct university studies on many of its products along with having 3rd party labs test the products to ensure potency, purity, and safety. At BioTrust, quality also means service, and we take enormous pride in providing our customers with world-class customer service and a 5-star customer experience. BioTrust cares about our customers and our communities. For every free Pro-X10 bottle we give away, we donate a nutritious meal to a hungry child through NoKidHungry.org. To date, BioTrust has provided over 2.6 million meals to hungry kids. Please help us hit our goal of 3 million meals this year. What's more, with the support of our customers we've granted over 190 wishes for kids with life-threatening medical conditions through our national partnership with Make-A-Wish®. Through our partnership with Pencils of Promise®, BioTrust has built three schools for underprivileged children, and with Water.org, we've provided clean drinking water for thousands in third-world countries. It's support from customers like you that allow us to give back. Thank you! *Offer valid for new Pro-X10 customer. One per household. save on our very best offer on Pro-X10.